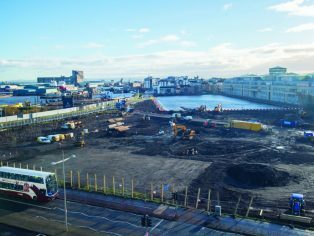 Work has started on a 388 home development in Leith, Edinburgh, set to transform the long-term disused land. 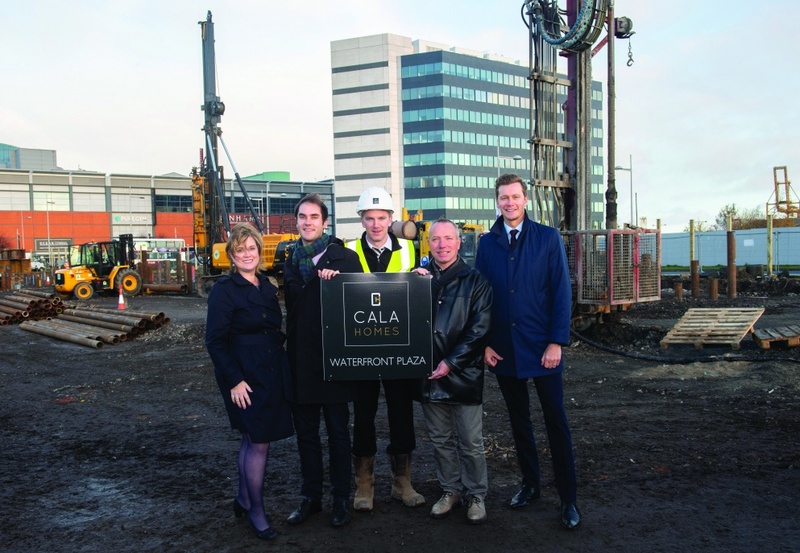 The Waterfront Plaza project by CALA Homes (East), located opposite Ocean Terminal shopping centre, will see the new homes created along with 1500 ft2 of flexible workspace units inspired by The Arches at Market Street, near Waverley station. 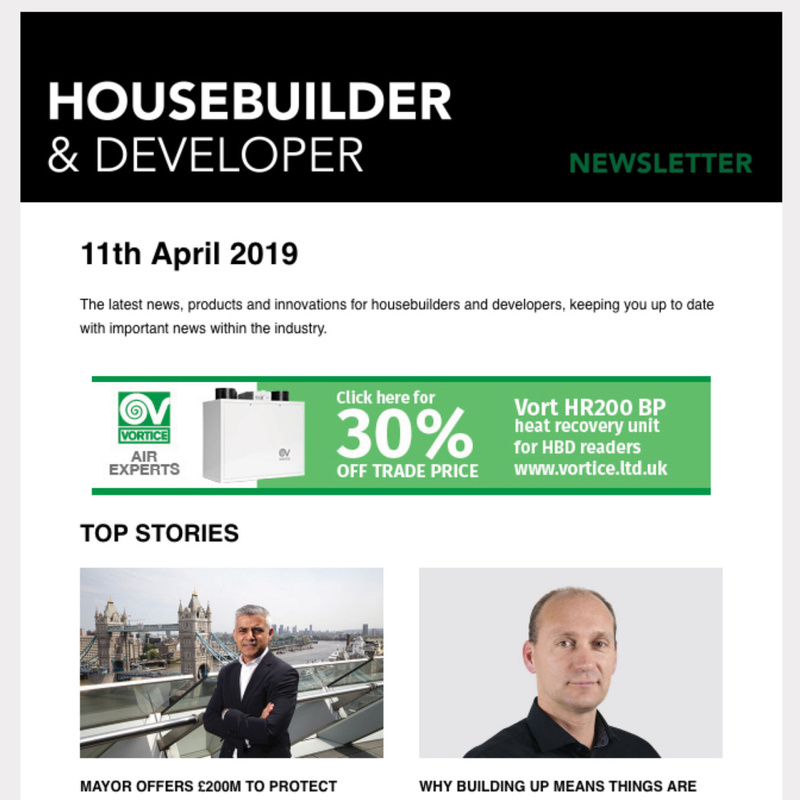 Affordable homes are a key element of the development, comprising 82 to be built and brought to market by a housing association, and a further 15 units delivered through the council’s Golden Share model. The project was initially recommended for refusal due to historic zoning for a commercial-led scheme, however the brownfield site was unanimously backed by councillors after receiving strong support from local community leaders, businesses and politicians. Waterfront Plaza includes a mix of homes, with 33 semi-detached and terraced townhouses, 27 Edinburgh ‘colony’ houses, 328 apartments, plus 29 ground floor workspaces fronting Ocean Drive. 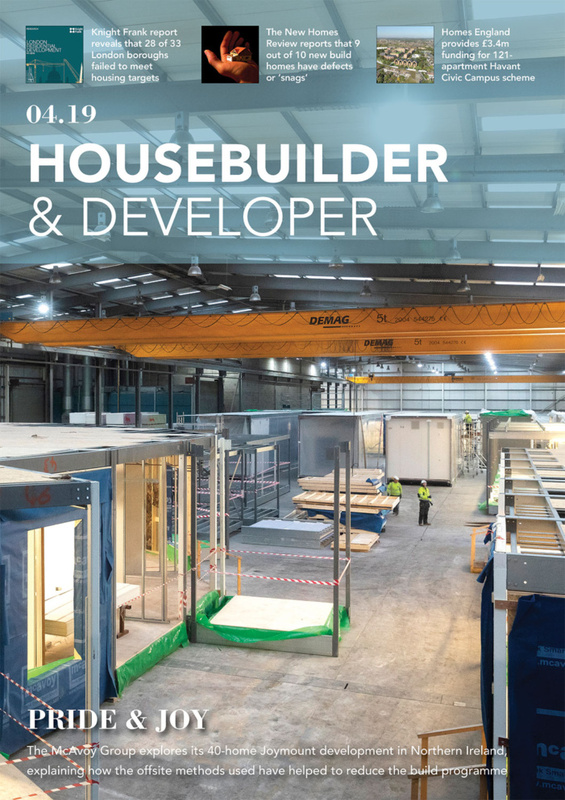 After originally being given the green light in December 2017, the intention is that the show complex will be launched in the summer of 2019, with the first homes occupied towards the end of the year. It is hoped than an eclectic mix of ‘workspace’ units complemented with the proposed public realm (an urban square and public green space along with a cafe building fronting Victoria Dock), will also draw more visitors to the area and retain them there for longer, in line with local ambitions to increase the retention of visitors in Leith. 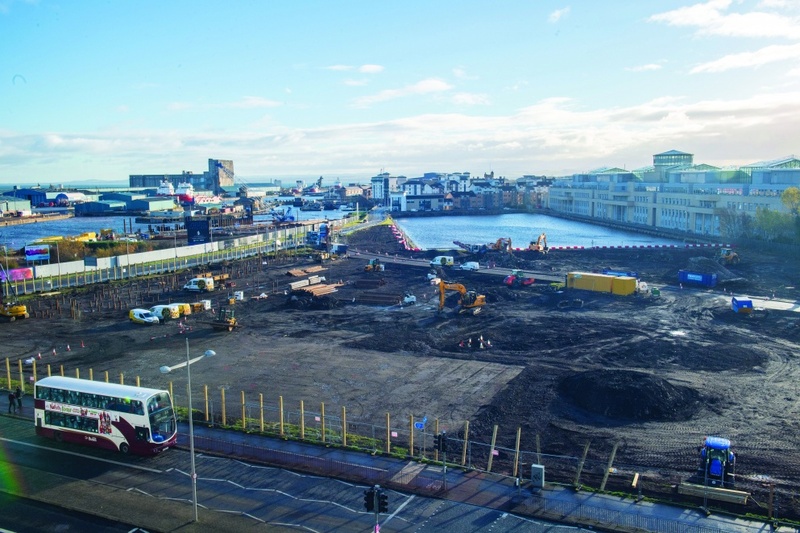 “This development has a strong sense of place and strong understanding of Leith.